And so we begin. February 1 marks the first day of this year’s march to Valentine’s Day. Each post in this period will be devoted to bringing you something new, something beautiful or fun, just because.. too much time is devoted to doing things that we must! 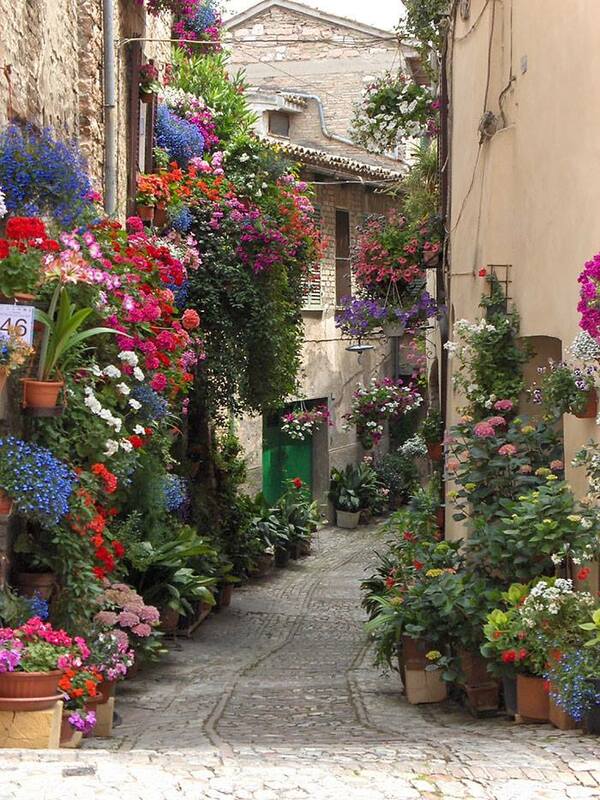 A friend posted a lovely photo from the town of Spello in northern Italy. Didn’t know it, so I went looking. (the photo originated from a site called Art People Gallery. Wow. There’s so much to the Spello story. Aside from the drop dead gorgeous flowers, something about it reminded me very much of my Dad who was born in southern Italy (and never really left there). Papa was a sculptor, teacher, potter and a gardener. Husband and father. He insisted we all get our hands in nature as a matter of course. It was play (croquet all summer in the backyard) it was work (raking leaves and scraping wood siding) and it was social (giant neighborhood Easter Egg hunts). What was happening for us was not unlike the Spello adventure. 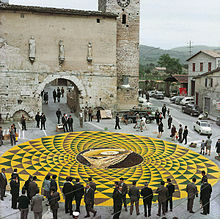 People in that little walled town in northern Italy for many years, have created roadway floral designs every year marking the path of an annual religious procession called Corpus Christi. 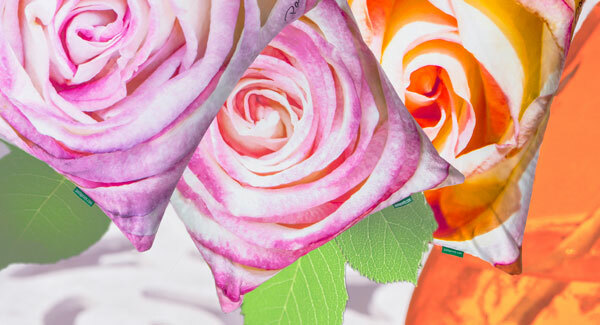 Not only do they grow the flowers, they dry/prepare them for months leading up to it, and then under cover, they work though the night to create incredible and new designs for the big day. 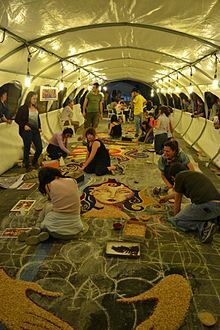 The images are chalked in or drawn on paper and placed on the ground to receive the final floral art. Working together, loving the medium and making beauty. Magic happens. My husband and I like to go antiquing- or at least scrounging for the unexpected lovely- and we have found a few. One thing that always strikes me is the care and detail with which some furniture used to be made. It’s worth looking into what craftspeople used to do with their hands. Check this out. How cool is that? Oh yes, he was Italian too. What has any of this got to do with pillows? 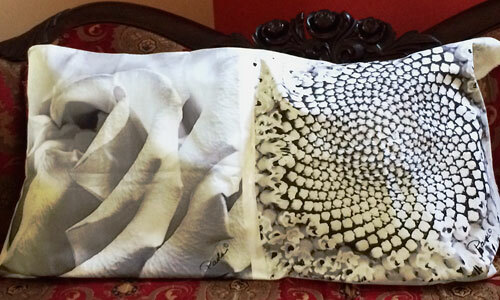 I’ve been pondering new pillow designs. Here are two I’m thinking about. I’d like to know your thoughts. A. What do you think about black and white, and B. Which do you prefer, the one on the left or the one on the right? You know my thoughts about color, always…I’m digging these too. Ha! You have to subscribe to post! Please do.